In this post, we will learn how to create a heatmap to analyze annotations in a video sequence. We first elaborate on why this would be useful, give a real world application, and follow up with a tutorial and implementation in Python. This is a guest post by Nadav Ben-Haim. He is the co-founder of Orpix — a Computer Vision company. Why use Heatmaps for Logo Detection Analysis? In computer vision, we often need to annotate the location of objects in a video using bounding boxes, polygons, or masks. Sometimes these annotations are produced by human annotators for creating training data and sometimes the annotations are automatically generated as a result of object detection and tracking. Analyzing annotations frame by frame is not always a good idea because sometimes a video sequence can be several minutes or hours long. At other times, the videos are short, but there are thousands of them ( e.g. in a training set ). This is where Heatmaps can be very useful. Heatmaps provide for a quick visual way to analyze the screen location of object exposure across an entire video. The parts of a frame where an object appears more frequently (i.e. high exposure areas) are colored red (hot) and conversely, the parts of the video where an object appears infrequently are colored blue (cool). At my company, Orpix, we use deep learning methods to detect brands and logos in digital media for sponsorship valuation. A sample of our logo detection is shown below. Exposure Time: The more time a logo is exposed on screen, the more successful an ad is deemed. Location: There are a few dimensions to location of a logo. First, if the logo is in the center of a frame, it is more likely to grab attention. Furthermore, if a logo is on the clothing of a prominent athlete, the exposure increases in value. Size & Clarity : When it comes to advertisement, size does matter! Needless to say an ad that covers a large screen space is much more valuable than the one that does not. Similarly, a blurry ad is less valuable than one that is clearly seen. Spotlight : Advertisers like to see their logo without other logos sharing the limelight. They often buy the entire visible ad space as shown in the sample output above. Computing a heatmap for a brand’s exposure in a video can help in part to quickly value sponsorship across the entire video. The 2018 Fifa World Cup entertained millions of people around the world for weeks. In many countries, work stopped when an important match was on. While most people were glued to the TV debating the odds of their favorite team, many teams of data scientists were working behind the scenes analyzing the effectiveness of sponsorship campaigns shown during the match. At Orpix, we ran a recording of the live stream aired in the United States through our logo detection pipeline. The Fifa World Cup final lasted for 2 hours, 26 minutes and 13 seconds. We sampled the match time at 1 frame per second for analysis which produced a total of 8773 frames. No points for guessing which company logo topped the list. It was obviously Nike — the biggest sporting goods company in the world. Their logo appeared on the players’ clothing on 1221 frames — an astounding 14% of the total broadcast time. The Nike exposure heatmap is shown below. While Nike did receive the largest share of exposure throughout the game, the heatmap demonstrates that the distribution of exposure was spread out fairly evenly across the screen. This can also be easily inferred from looking at the highest exposure of 36 seconds and comparing it to the total exposure time of 1221 seconds for the entire game. The heatmap is interesting because you cannot help but be curious about the hot spot in middle-right of the screen. 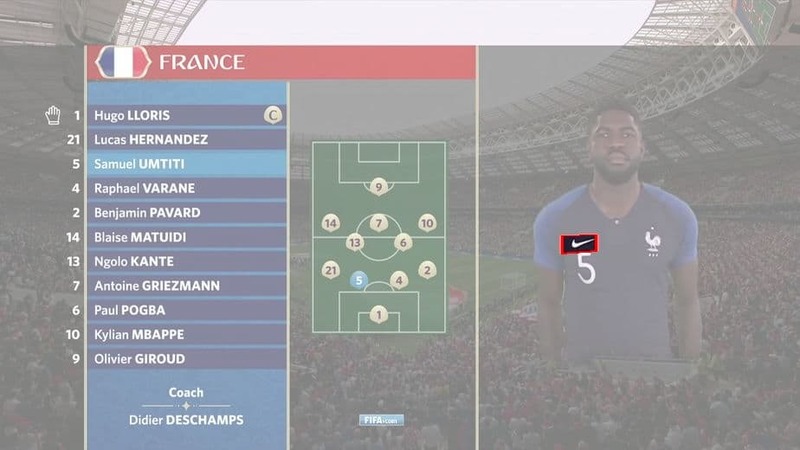 Turns out Nike got a lot of exposure when players were introduced as shown in the image below. If you cannot get your logo on players’ clothing, your next best option is to advertise on digital boards. 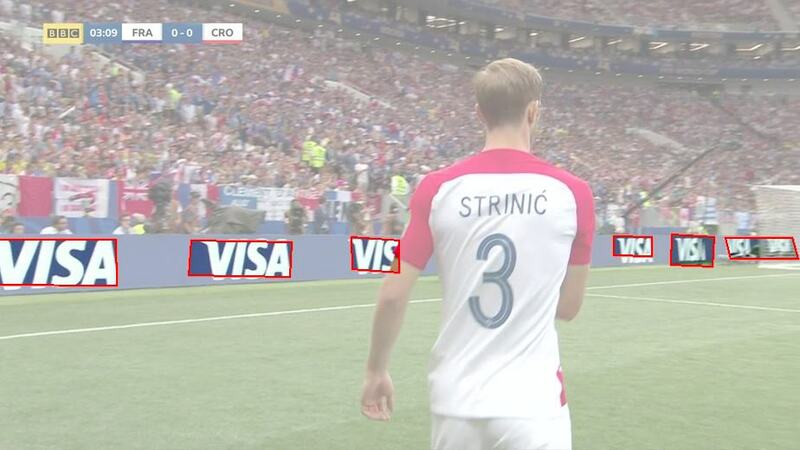 Credit card processing company VISA topped the list of logos detected on digital boards (769 seconds), closely followed by sporting giant Adidas. In the example below, the Visa logo appears for a total of 769 seconds. The heatmap shows that in 80 (indicated by red) of those seconds, the Visa logo appeared in the upper left part of the screen. When contrasted with the Nike heatmap, you can see that the exposure Visa obtained was concentrated much more heavily in a specific location throughout the game (as denoted by the ratio of highest exposure on the heatmap of 80 to total exposure of 769). This is because when a logo appears on a digital board, it is not moving nearly as much as a logo on a soccer player’s jersey. For a full sample report of the World Cup Final that Orpix generates automatically, click here. In this section, we will show a simple way to create a heatmap for Visa logos during the 2018 World Cup Final using annotations automatically generated with Orpix Sponsorship Valuation solution, as shown in the image above. Annotations for Visa during the 2018 World Cup Final. You can download the data here. Unzip the data into the same directory as the script location. Below are details on the script’s input and output. In our case, the labels.txt references frames in the visa_frames directory along annotations of Visa for each frame. These are all of the frames where Visa occurred during the 2018 World Cup Final, sampled at one frame per second. Note: The reason we specify 4 (x,y) coordinates instead of x,y,width,height is for added flexibility, as we output quadrilaterals in our logo detection solution. highlighted frames – For each frame specified in labels.txt, we highlight the associated annotations on the image and save the drawn image to “output” directory. 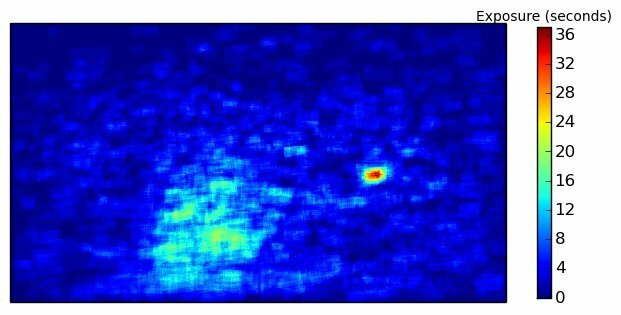 This is not required to compute the heatmap, but is done to aid the user in understanding, and also good for debugging. heatmap – At the end of the script a heatmap is saved to the working directory as “heatmap.png”. We use matplotlib since it’s quite easy to create a nice heatmap with good colors, and a legend as well. First we need to initialize the data we will use to create the heatmap. We will use a single channel floating point numpy array the same size of the video frames we are processing to accumulate exposure time per pixel. #video at a different rate, change this value. and we add that to accumulated_exposures array which we will use to create the heatmap. #of seconds per frame that the video was sampled at. #highlight the labels on the image and save. Lastly, when we finished accumulating exposures for all frames, we can produce the heatmap using matplotlib. And that’s it! You now have an exposure heatmap that you can use to analyze for object location in video! This is actually super cool! From a Opencv perspective maybe very cool, but heatmaps don’t say anything about where and how people actually look on the screens. If a match is interesting, you don’t care about logo’s. Maybe you even (want to) avoid them… It’s a sort of visual pollution. Heatmaps could be used to determine where a user looks but you would need eye tracking data for that. From the advertisers perspective though, they are interested to know where on screen their logos appeared and for how long, so for that, heatmaps can be a quick and visual way to analyze that information. Advertisers want a quick way to get ‘numbers’ but don’t know what these mean. So they continue putting their logos everywhere they ‘think’ it’s adequate. Even on the clothes we wear, I don’t like that.